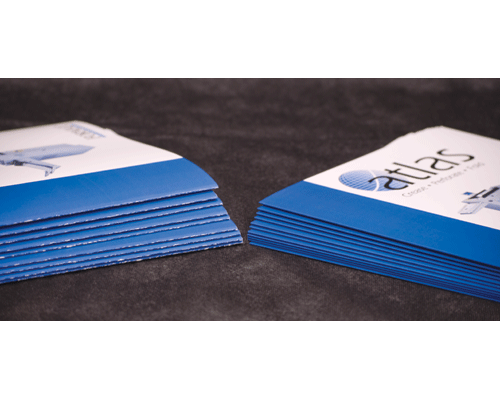 Sheets up to 27.5" x 19.6"
In today’s digital print environment, it’s not enough to simply print a piece; it must be finished properly for a clean, professional look. The Atlas C200 Auto-Feeding Creaser is a fully-automatic, user-friendly solution to solve the problem of cracking in toner-based digital prints. Utilizing a unique creasing matrix, it compresses paper fibers instead of cutting them, virtually eliminating cracks on a creased or folded edge. 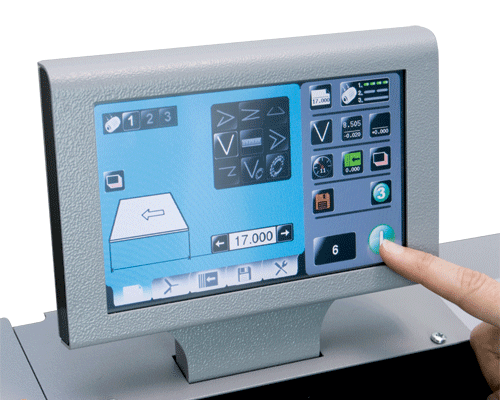 Using the graphics-based 7” touchscreen control panel, operators can easily set-up and save jobs in just minutes or use one of the six pre-programmed settings. The C200 automatically calculates the crease positions based on paper size and sets them accordingly. The powerful bottom-suction air-feed system allows for continuous loading of sheets, which increases productivity while maintaining accuracy, even with heavier stocks. 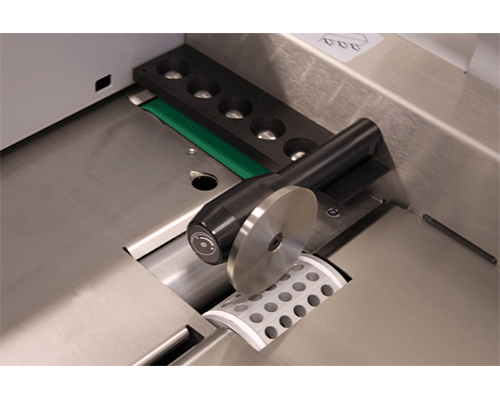 This fully-automatic air-feed creaser offers variable speed control to accommodate a wide variety of sheet sizes and thicknesses. With the ability to produce up to 16 creases per sheet, it can process up to 8,500 sheets (8.5” x 11”) or up to 11,000 sheets (6.5” x 8.5”) per hour. The C200 can accommodate sheets up to 27.5" x 19.6". Perforating capabilities are also standard, with a wide range of perf wheels to suit many different applications. 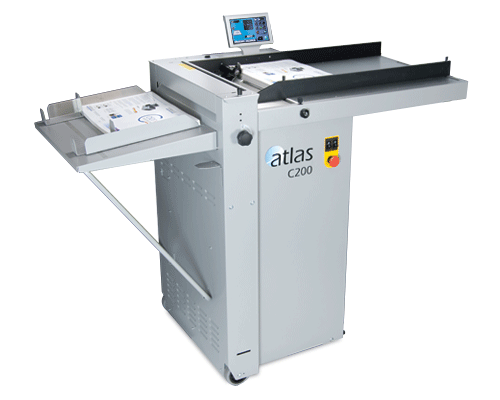 With rugged metal construction and a compact footprint, the Atlas C200 is an ideal addition to small print shops and production facilities with limited space that want to expand their digital print finishing capabilities.